Traditionally, the Hawaiian culture celebrated major milestones and important events with a ‘aha’aina (lit. “gathering meal”) where hundreds of people would gather together to enjoy a symbolic feast. While this ancient custom has faded into antiquity, its spirit survives in the modern Hawaiian luau. If you’ve ever had the pleasure of traveling to Hawaii, you’ve probably enjoyed a true luau at least once or twice. The basic idea behind it is simply celebrating friendship and family relationships by sharing a meal and - more importantly - quality time together. That’s why the decorations, music, and dress that we associate with the luau have transcended thousands of miles of ocean and cultural boundaries as well to become a favorite party theme across the United States. The best part about planning a luau party of your own is that this fun, festive party theme can be successfully planned on a very reasonable budget, and it doesn’t require incredible Pinterest-worthy crafting skills either. Just some basic supplies and ingredients, and an outdoor space that can become your temporary island paradise. A quick Google search will pull up innumerable recipe ideas that can transform these simple ingredients into mouth-watering delicacies. From BBQ pork grilled over an open fire to coconut-encrusted shrimp skewers, every successful luau party needs to have plenty of good food available for guests to enjoy. If it’s safe and practical, grill the meat outside while your guests are arriving. The delicious aroma will whet their appetites, and the fire and smoke just look right at a luau party! Be sure to prepare some tropical cocktails for your guests. Anything coconut- or pineapple-based will keep them in the luau mood, and most fruits mix really well with rum. 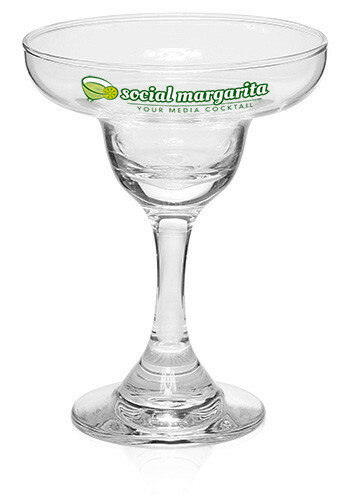 For an extra special touch, consider some custom printed margarita glasses or coconut plastic cups your guests can take home with them when the party’s over. 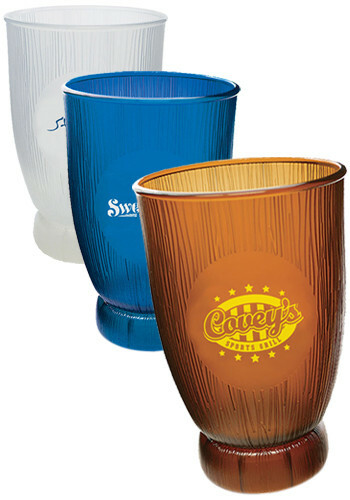 Custom drinkware comes in all shapes and sizes, from fun and funky to high class crystal and everywhere in-between, so you can find just the right glass to match your party’s personality. Intersperse some scented candles throughout the rest of the party area apart from where the food is being served. Scents like pineapple, coconut, vanilla, and sea breezes can greatly enhance the island feel of the entire party, and especially the flavor of your food! Perhaps the most iconic aspect of a great luau is the fun, eccentric costumes that have evolved over the years from the traditional Hawaiian island party apparel to a more exaggerated and summery getup. Inexpensive synthetic grass skirts and flower leis are available from most party supply stores. Grab a supply and hand them out at the door by ceremoniously placing the lei over your guest’s head with a hearty “aloha” to go with it. Flip-flops for everyone - Some may bring their own, but you can get fun, colorful flip-flops so cheaply, why not make sure everyone has a pair when they walk in? 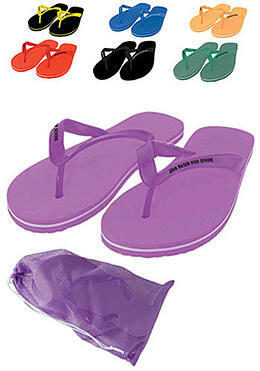 To add even more flair, you can hot-glue a decorative synthetic flower to the toe thong of each one, or choose custom printed flip flops that can double as party favors. This fun footwear fits the tropical island motif perfectly, and comes in a dozen different colors so you can keep things coordinated or make sure everyone gets their choice. Sunglasses - While the latest styles may work everywhere else, at a luau only the brightest and thick, neon-colored frames capture the spirit perfectly. 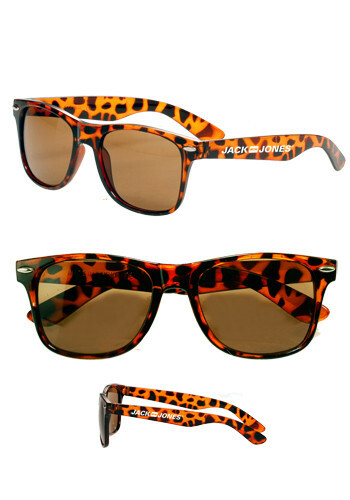 Get a supply of custom printed sunglasses that can serve as favors too. Print a custom message on the bow, or the date of the party to memorialize the occasion. Combined with the luau photo booth described below, these favors are guaranteed to provide lasting memories. And don’t forget the limbo stick! Consider citronella for the tiki torches - While nearly-constant sea breezes keep Hawaiian beaches nearly mosquito free, that’s probably not the case in your backyard. To keep guests comfortable for the party, consider letting your tiki torches double as bug repellant. Make your own festive lanterns - You can buy hanging lanterns that look great, but you can also make them very inexpensively. Save up some food jars for a few months (spaghetti sauce is a great size), cover them in bright construction paper or tissue paper with shapes cut out, then place a tealight inside each one. Set them on tables or close the lid on a thin cord overhead to light a path from above. Raffia on every flat surface - OK, that may be a little over the top, but this inexpensive woven palm bark makes a great coverup to tack up on fences, as a table covering or for individual placemats, or really any other spot where you want to put the look and feel of the islands on top of reality. Create a luau photo booth - Using raffia, plants, and paper decorations, or any other combination you can think of, put together the perfect spot for couples and small groups to get their pics taken at your party. Make sure it’s well lit, and if possible, have someone nearby who’s responsible for snapping photos throughout the night. With these simple tips in hand, you’re ready to evoke the ancient spirit of the islands in your own backyard. Remember, Hawaiians often use the term, “aloha” both as a greeting and as a way of saying goodbye. That’s because when you’re forging memories like those at your luau party, you’re making connections that never really end.